It seems every horse trainer wants a Fankel 2yo in their string for the 2019 Flat turf season. You may have read that this year's crop of Frankel's is heading to horse trainers big and small. Sir Michael Stoute has a least 10 two-year-olds sire by Frankel while the smallest stable in Newmarket has one juvenile for Ilka Gansera-Leveque, her pride and joy a bay colt called Amtiyaz. 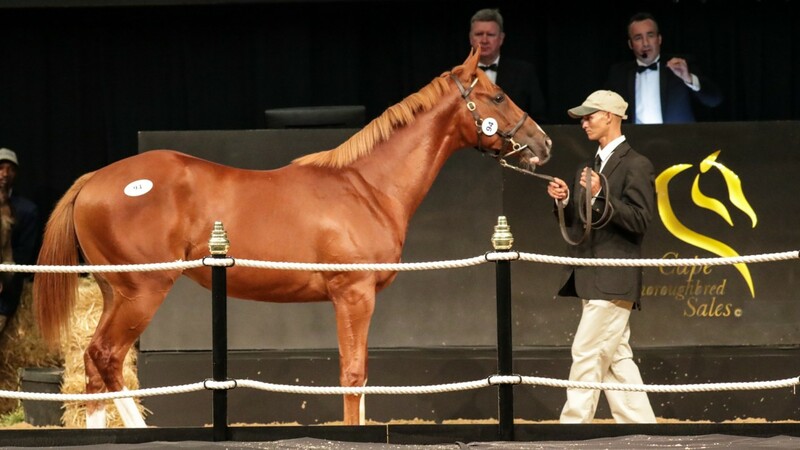 Our little horse racing blog will be following the fortunes of many trainers lucky enough to have a colt, filly or gelding sired by ''the greatest thoroughbred in the world'' in their mitts. So what about William Haggas? No finer trainer of quality racehorses and Somerville Lodge Stables, Newmarket is almost bursting at the seams with quality two-year-olds from influential owners. Taking a look at Juddmonte Stallions website we see that Haggas has at least five Frankel offspring ready to hit the track. There is a chance a few may even follow in their sire's tracks by making their debut at Newmarket. Let's take a look at the 5 Frankel two-year-olds as they are worthy of a scribble in your notebook. With Reason - This chestnut filly is a March foal out of the dam Eminently in the ownership of Mr & Mrs G Middlebrook. Born A King - Is a bay colt and February foal out of a French Listed-raced mare in the ownership of Mishref Al-Khatani & Mr Faisal. Fundtank - A March foal, bay filly, out of the dam Millevini, who raced once in Norway when finishing second. Fundtank cost 190,000 guineas at the yearling sales and in the ownership of Eminent Kind Ltd.
Mr Curiosity - Is a beautifully bred bay colt out of the dam who won three of her four starts when trained by Haggas in the ownership of A E Oppenheimer. Her final start saw a win at Listed class. Mr Curiosity is a full brother to three-year-old Frankellina who won on her debut at Great Yarmouth when made 5/4f. She holds an Irish Oaks entry. Mr Curiosity is in the ownership of Hascombe & Valiant Stud Ltd.
Jabeen - An early January foal. This chestnut filly is out of the dam Sortita who raced five times, winning on two occasions. In the ownership of Shadwell Estate Co Ltd. It's always interesting to see which trainers are lucky enough to have this year's crop of Frankel two-year-olds in their care. As we stated in an earlier post: 5 Frankel 2yos to Follow in 2019 there will always be a surprise or two. It is with great delight we mentioned Ilka Gansera-Leveque has a Frankel two-year-old housed at St Wendred's Stable, Newmarket. Amtiyaz is a bay colt out of an unraced mare who used to be in training with William Haggas, in the same ownership with Mr Saleh Al Homaizi & Mr Imad Al Sagar. He was sold at the yearling sales for 200,000gns. I'm so willing for this March foal to have ability and put Gansera-Leveque on the map. Such a lovely lady, hard-working, and a qualified vet among her many talents. Great to see trainers big and small having a chance to shine. Having a quick look at Frankel's categorised by trainer I was surprised to see Sir Michael Stoute has a bumper crop of potential stars. In fact, he has 10 Frankel 2yos at Freemason Lodge Stables. Dollar Bid - A March foal, bay colt, out of the mare Cape Dollar in the ownership of Rabbah Bloodstock Ltd. Highest Ground - A May foal, bay colt, out of a mare named Celestial Lagoon in the ownership of The Niarchos family. Heaven Forfend - A March foal, bay colt, by the dam Heaven Sent in the ownership of Cheveley Park Stud Ltd.
Boss Power - An April foal, bay colt, out of the dam La Vinchina, in the ownership of Stifung Gestut Fahrhof. My Frankel - A March foal, bay colt, by My Special J's in the ownership of Newsells Park Stud Ltd. Prince Imperial - A March foal, bay colt, out of the mare Proportional, in the ownership of Juddmonte Farms Inc.
Melnikova - A March foal, chestnut filly, out of the dam Safina, in the ownership of Cheveley Park Stud Ltd. Unnamed - A March foal, bay colt, out of the dam Shama's Crown in the ownership of Rabbah Bloodstock Ltd.
Tanita - A March foal, bay filly, out of the mare Shoal in the ownership of Juddmonte Farms (East) Ltd.
Dream With Me - A January foal, bay colt, out of the mare Where in the ownership of Coolmore. Unless there has been something drastic happened within the last few minutes all is well for this super sire and stallion who is standing at Banstead Manor Stud at Cheveley Park Stud, Suffolk, Newmarket, England. Here are a few interesting facts about Frankel. Frankel was named after late American horse trainer Bobby Frankel. He was priced favourite on all 14 winning stats: the biggest price just 2/1 (debut) and shortest 1/20f (Sussex Stakes). This son of Galileo is out of a mare named Kind. He was foaled on 11th February 2008 in Great Brittain in the ownership of Khalid Abdullah. This bay colt raced 14 times and achieved 14 wins, ridden by jockey Tom Queally. He earned total prize money of £2,998,302. 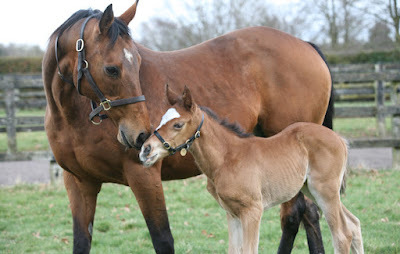 Breeding: Frankel covered his first mare on Valentine's day, February 2013. The stud fee for 2019 is £175,000. How much money is Frankel worth? In 2017 Frankel covered (mated) with 195 mares from across the globe. In theory, this is worth £20M a year. The average cost of a Frankel yearling sold at auction is £500,000. 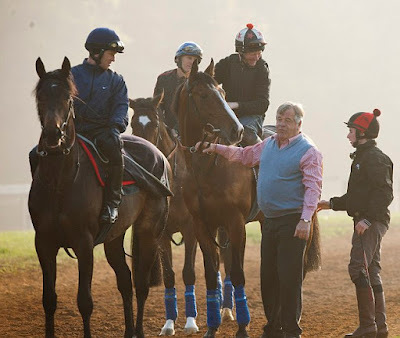 Welcome to Frankel horse racing website. The start of the Flat turf season 2019 gets underway with the Brocklesby Stakes at Doncaster's Lincoln Meeting on the 30th March. I wonder when we will see the first of this year's crop of Frankel-sired two-year-olds. I don't think we saw too many early types last year. Even though Frankel offspring hold an impressive percentage for racing at pattern class, I wasn't struck on the general standard of those we saw in Britain. As noted before, Kevin Ryan's East was about as good as it got with her winning at group class and then finishing a distant (but respectable) second to the U.S-trained Newspaperofrecord when competing in the Breeders' Cup Juvenile Fillies' Mile Turf (Grade 1) (2yo) (Fillies) (Turf) at Churchill Downs (USA). So what will this year's Frankel prospects achieve? Only time will tell. 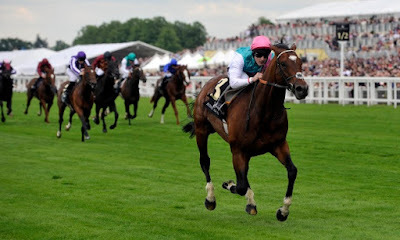 However, we will detail five Frankel 2yos which may be of interest to readers for different reasons. I'm sure all will be gaining column inches in the press by the time the season runs its course. Majestic Noor - This daughter of Frankel out of a mare named Nouriya. She cost 650,000 guineas at the yearling sales. I nearly fell off my seat when I saw this bay filly in the ownership of Mr Saleh Al Homaizi & Mr Imad Al Sagar is going to be trained by Newmarket's smallest yard Ilka Gansera Leveque. I'm so excited for St Wendred's Stable because this hard-working trainer/qualified vet knows her way to the winner's enclosure if given the ammunition. What a dream start to the season if this April foal can live up to expectation. Originally detailed as being trained by Ilka Gansera- Leveque but now in training with John Gosden. (Not sure if this was a mistake on my part but definitely with John Gosden). Amtiyaz - I must be dreaming. So must Ilka Gansera-Leveque because scanning down the new crop of Frankel two-year-olds I see that she has a second Frankel in the stable. This is incredible. Once again in the ownership of Mr Saleh Al Homaizi & Mr Imad Al Sagar. This March foal, a colt, is out of a mare named Rose Of Miracles trained by William Haggas although unraced. He went through the yearling sales ring in 2018 for 200,000 guineas. Can't wait to see these two on the track. Zabeel King - At least we have a name for this two-year-old Frankel colt who is in training with Kevin Ryan. Not only that, we have some interesting breeding in that this February foal is a full-brother to East (mentioned, above) out of the talented mare Vital Statistics and went through the sales ring for 400,000 Euros. It will be interesting to see who owned this two-year-old. My Frankel - How many race fans would love to say those words? This bay colt is in training with Sir Michael Stoute, out of a mare called My Special J's. This March foal (16th) was bred by Newsells Park Stud went through the yearling sales for 380,000 guineas and sold to C Gordon-Watson Bloodstock. He is now in the ownership of Saeed Suhail. The mare won the Keeneland Stakes (Group 2) in Ireland (one win from ten starts) and raced at the highest grade concluding her race career at Keeneland (USA), previous to four starts at Meydan (UAE). Sefton Warrior - Once more, the owners Mr Saleh Al Homaizi & Mr Imad Al Sagar take a keen interest in Frankel as a sire with this bay colt who will be in training with Richard Spencer. This March foal is out of the dam Maid To Master who raced just four times in Ireland without a win. If I am reading the sales page correctly, he was purchased by the trainer and Bobby O'Ryan for just 75,000 guineas and under the new ownership of Rebel Racing Premier II. Punters across the globe went into mourning when the legendary Frankel retired to stud after winning the Champion Stakes back in October 2012. The son of Galileo won all 14 of his races and earned the highest ever Timeform rating in history, leading many to declare him the greatest thoroughbred of all time. He was simply too valuable to race on and his owners whisked him away to the breeding shed in order to make a fortune. Frankel has spent the last six years covering hundreds of mares, mainly Group 1 winners or producers, and he has sired some magnificent offspring. “In the foaling unit on February 11th 2008 at 11.40pm, little did we realise that we were witnessing the birth of a phenomenal racehorse,” said Philip Mitchell, general manager at Banstead Manor Stud. “The rest as they say is history and it is now extremely exciting that Frankel will be returning to the Stallion Unit at Banstead, some 500 yards from where he was born.” Trainer Henry Cecil said “there has never been a better or more talented thoroughbred”, as Frankel blended the speed of a champion sprinter with a magnificent turn of foot. Expectations were huge for his stallion career, and he is already proving to be a chip off the old block of Galileo. At Royal Ascot this year, Frankel’s offspring secured three wins and two runner-up finishes, netting a cool £750,000 in prize money. Considering he only has two full crops of foals in the racing arena thus far, it was a brilliant achievement. “Any horse that can go to Royal Ascot, the most competitive race meeting in the world, in a fabulous location, and have three winners and seven placed horses is quite extraordinary,” said Simon Mockridge, the director at Banstead Manor Stud. Cracksman is probably his most famous son. He finished 2017 as the world’s top rated three-year-old after securing an emphatic victory in the Champion Stakes, five years after his father defeated Cirrus Des Aigles. 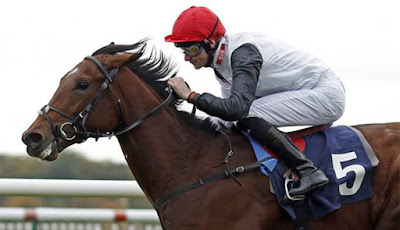 That followed a strong season in which Cracksman finished third in the Derby at Epsom, runner-up in the Irish Derby and went on to win the Great Voltigeur Stakes and the Prix Niel. 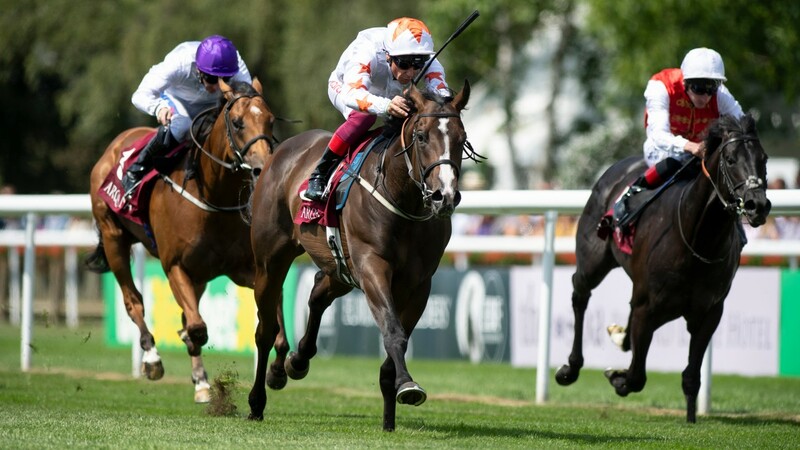 He maintained that brilliant form in 2018, landing the Group 1 Ganay Stakes at Longchamp and the Group 1 Coronation Cup at Ascot. He went off as the favourite in the Prince of Wales’s, but finished second to Poet’s World. He will make his next appearance in October as he readies for either the Prix de l’Arc de Triomphe or the Champion Stakes. Cracksman is a fine thoroughbred, but there is intense competition for the title of Frankel’s most promising offspring. His daughter, Stirring Soul, won the Japanese Oaks in 2014, and the winners have kept rolling in ever since. Frankel is second behind his own father, Galileo, in the list of sires with the most prize money from stakes winners in the past year. He is a fertile stallion and he commands huge fees, but they would skyrocket further if one of his progeny went on to win a Classic. Some see Cracksman as the greatest hope right now, but several budding stars provide serious competition. Without Parole, Monachs Glen and Baghdad all secured victory at Royal Ascot, while Lady Frankel, Last Kingdom, Finche, Eminent Weekender, UAE King, Goldrush, Aljazeera, Elarqam, Herculean, Vercious, Contingent and Nelson have all displayed great promise, and If you take a look at the horse racing markets you will see spreads available on many of Frankel’s offspring. If that wild streak can be correctly harnessed, Monarchs Glen could go on to enjoy plenty more success. Without Parole has gone off the boil somewhat over the past couple of months, but Monarchs Glen still has plenty of momentum. He seized the Listed Foundation S at Goodwood and Newmarket’s Darley, and this unpredictable horse seems to respond well to being thrown in at the deep end in big meetings. He shows hints of that sensational turn of foot Frankel used to display with thrilling regularity, and he could thrive when stepping up in grade. 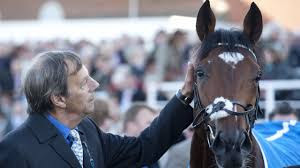 Frankel’s offspring look poised to rule the roost for years to come and it will be intriguing to see which ones fully deliver one their promise, but already the likes of Monarchs Glen and Cracksman are making great waves and there is plenty more to come. It won’t be long until the leading Flat turf horses return to the racecourse after their winter break for the 2019/10 campaign. The May meeting at Newmarket, the 1000 & 2000 Guineas are some of the leading events in the early stages of the season, while all roads then lead to the Epsom Derby come June. 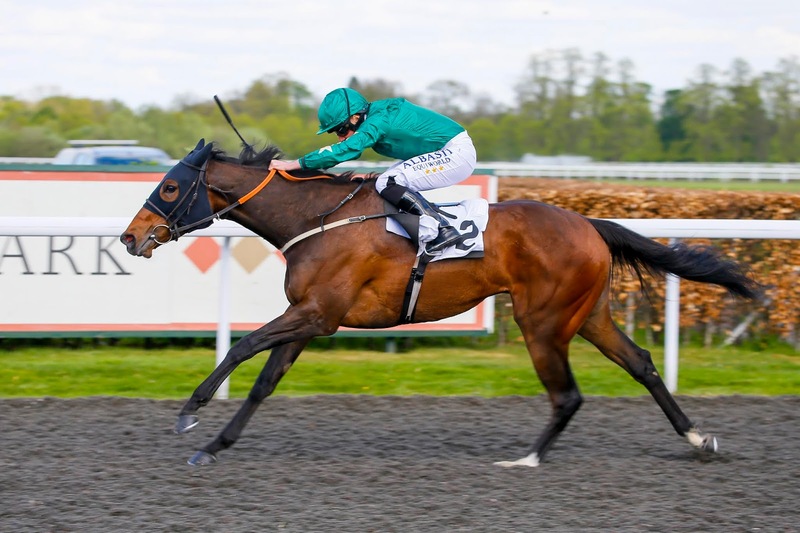 Here is a look at three horses to follow during the new season which could help it become a profitable Flat turf campaign for you as a punter. These Frankel offspring are leading hopes for a winning season. East had to settle for second place last season in the Breeders' Cup Juvenile Juvenile Fillies Turf 2018 behind the exceptionally talented Newspaperofrecord at Churchill Downs on the ''Future Stars Friday'' program. Kevin Ryan's daughter of Frankel proved a class two-year-old and one of the better fillies seen in a progressive campaign. 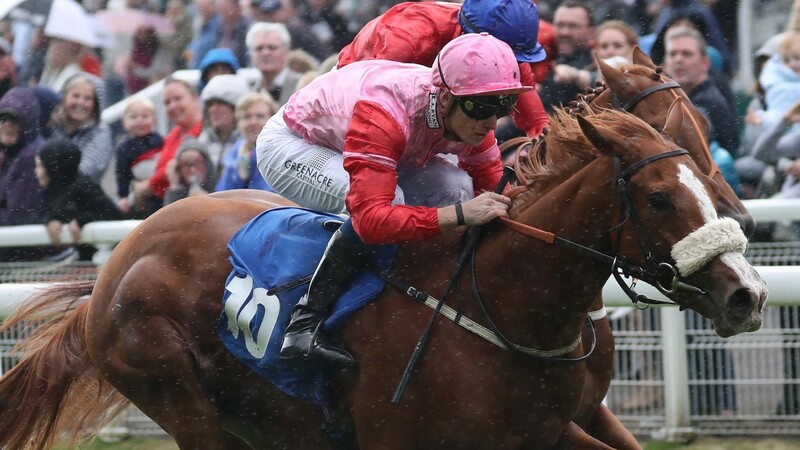 Owners, East Partnership, must be hoping their talented chestnut filly holds every chance in the Irish 1000 Guineas. At present, she is one of eighty-one three-year-olds to hold an entry for this Class race run over one mile at the Curragh. Interesting to note why she hasn't been entered to run in the English 1000 Guineas. This daughter of Frankel is out of a talented mare in Vital Statistics who readers may remember was trained by David Elseworth. She achieved two wins, one at Listed class, although competed at Group 1 level (including a long way behind Finsceal Bio in the Newmarket 1000 Guineas, 2007). East proved a talented winning on debut at Hamilton over 6f. She won by half a length at odds of 9/4. 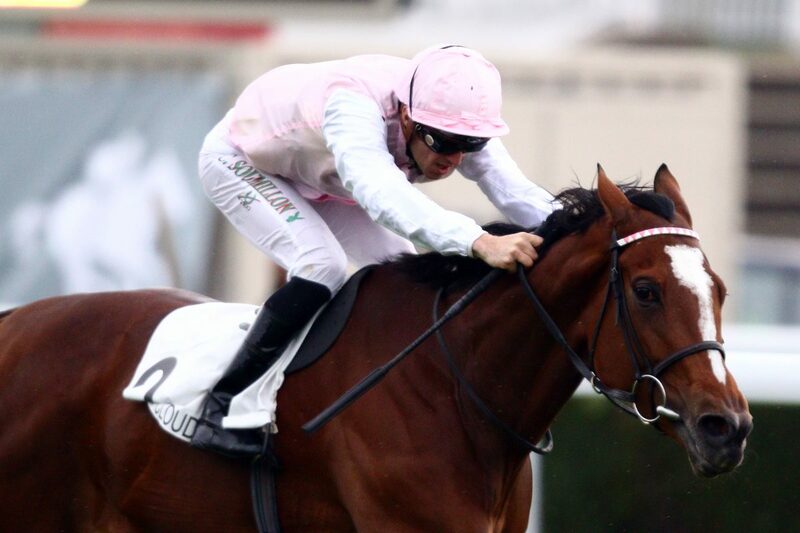 Next came a sparkling two-and-a-half length victory when travelling to Saint Cloud. Stepping up to seven furlongs, she won ''comfortably'' at Group 3 class. Her concluding effort saw a second at Churchill Downs (Grade 1), taking over £125,000 in prize money. Mark Johnston is a trainer who knows how to win with talented juveniles aiming for Royal Ascot, perhaps taking the Coventry Stakes (Group 2). One Frankel two-year-old who is worth noting is the well-named Fred. This chestnut colt is out of a mare called Deirdre bred by Normandie Stud Ltd. A horse worth following this season. One two-year-old with a connection to East is Zabeel King, who is, in fact, a full brother to Kevin Ryan's filly, out of the mare Vital Statistics. This February foal must have cost a pretty penny considering the achievements of this sister and the fact that the stallion fee for Frankel is £175,000. The unbeaten winner of 14 races achieving total prize money of almost £3M. A star for the late horse trainer Sir Henry Cecil. Few racehorses have or will ever reach those dizzy heights. He is now a sire with a stallion fee of £175,000. Many of his offspring have been centre stage. The first winner being Cunco trained by John Gosden who run at Newbury 13th May 2016. The 7/2 shot won over 6f. A winner of two races in Europe, racing up to Group 1, later to race in the United States with Chad Brown. Perhaps, most notable of all Frankel's offspring is Cracksman trained by John Gosden in the familiar silks of A E Oppenheimer. He made his first start in that formative season. A five-time Group 1 winning thoroughbred who is now a sire with a fee of £25,000. But what about this Grand National talk, I hear you ask? Well, many of Frankel's offspring don't achieve the dizzy heights of Group-class success. In fact, many do not even win a race. It may come as a surprise to some that a number of his offspring have run over hurdles. Readers may remember Dan Skelton trained Solo Saxophone winning a hurdle race at Catterick on the 19th December 2017. Take a look at the video, below. So what's the likelihood of a horse sired by Frankel running over the Grand National course? In many respects, it looks very unlikely. However, who would have thought one of them would have raced at Cheltenham? OK, so it wasn't at the Cheltenham Festival but you never can tell. The National is such a test of stamina that very few horses are actually bred to race over four miles. But that doesn't mean it isn't possible. Perhaps simply because someone likes to be the first. The wins of Cunco, Solo Saxophone and Cracksman all wrote themselves in the history of Frankel's story. Could we dare to imagine a Frankel would jump a fence, head to Aintree, and win the Grand National someday? Keep it simple. Know the best 2yo horses in training from stables large and small. Group Horse details horses that win at the highest level.